Since its inception, RKECPL has earned its reputation as Infrastructure contractor for urban complex projects. As a leader in our industry, Witnessing the unprecedented growth momentum in realty sector and demand for residential and commercial properties, RKC group diversified the wing Raj kishore Developers private limited in 2007. 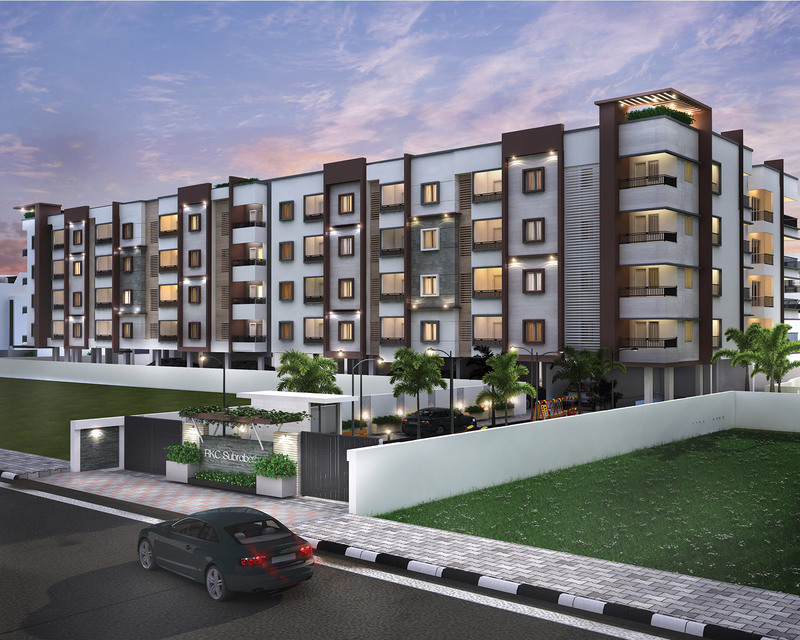 The group launched the first developing project in Vadapalani, Chennai. We are committed to finding solutions for our clients that best achieve their goals. We place a high value on relationships, as these relationships have built our success. • To give households access to housing that is appropriate to their needs. • To promote community well-being through better provision of housing to meet diverse community needs. • To provide housing choice by encouraging housing of different types, size and tenure in suitable location. • To ensure that the location of housing offers residents adequate access to transport, employment, services, and to social and support networks. WHAT WE DO IT BETTER? RKC Group is well known for its innovation and by collaborating successfully with our customers, designers, sub-contractors, consultants as well as suppliers. We have been able to provide more specialized level of services. We are capable of undergoing the construction process with ease amidst the vast experience that we have in various fieldsof civil engineering. RKC strives to build quality affordable homes by providing an honest, fair working relationship with stake holders, new homeowners, and sales people in an atmosphere where families can experience the pride and satisfaction of their own home. RKC Subrabath is a place of peace and eternity. Ventilated sky high spacious apartments give a sense of serenity and calmness to the families residing in. Coalescence of superior quality and standard with a twist of leisure by a means of opulent amenities can be seen at the address. Glamour and popularity gives the address a regnant touch as it transforms the lifestyles of the residents. After a tiresome busy schedule, monarchs can live with peace and joy with family as the homes at RKC Subrabath give immense warmth and positivity while the luxurious amenities tempt you to indulge in various activities cheering your heart. Lavishness of the apartments dosen’t compromise on the prime factor i.e. comfort, which is an essential part to be looked out for in the rushing and rapidly developing metropolis. RKC Subrabath is a hidden treasure with 58 premium 2 BHK & 3 BHK apartments that combines contemporary living with exacting internal specifications and finishes. A great deal of thought has gone into the design process, ensuring that the apartment meets the expectations. With Premium Specifications and exceptional locational advantages, Rkc Subrabath ensures great rental returns which gives an ideal investment scope too. From Schools to supermarkets, everything you want is just metres away. 800 X 800mm size double charged vitrified tiles of Italian marble finish. Polished teakwood doors for main entry and bedrooms with voguish look. Premium range GUESS brand bath and sanitary fixtures. Designer glazed ceramic tiles upto full height for toilets. To be a model corporate participant in the development of the construction industry. To ensure to build and maintain a loyal continuing relationship from every customer with sheer commitment to quality completion and therby enhancing the value of our presence. Kodambakkam, Chennai – 600 024. © 2015 RKC GROUP. All Rights Reserved.